Congratulations to all involved! Getting more farmers paid for soil carbon credits is the reason why PastureMap and Point Blue Conservation Science are working together on capturing soil carbon change and grazing data in one place. We hope this global milestone builds similar momentum in North America to move towards soil carbon credits for regenerative grazing and carbon sequestration. Today marks an important milestone in the transition of agriculture from a source of greenhouse gas emissions to significant carbon sink. Corporate Carbon is proud to receive the first carbon credits issued for a soil carbon project under the Emissions Reduction Fund. See video. ‘Not only will these soil carbon credits be the first to count towards Australia’s national targets under The Paris Agreement but they are the first soil credits worldwide to be eligible under Paris’, said Corporate Carbon Managing Director, Matthew Warnken. 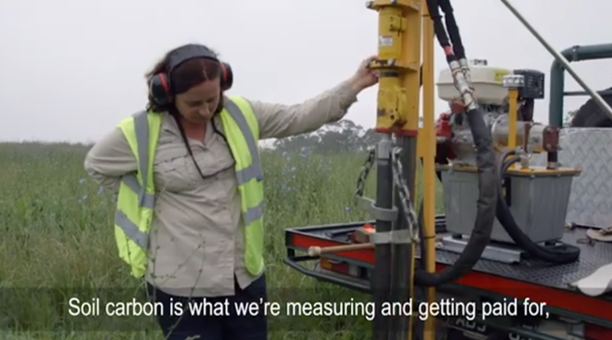 The credits were received by the Grounds Keeping Carbon Project, which showcases the work of a Victorian innovation and farming system that creates soil carbon in pastures at rates comparable with forests. 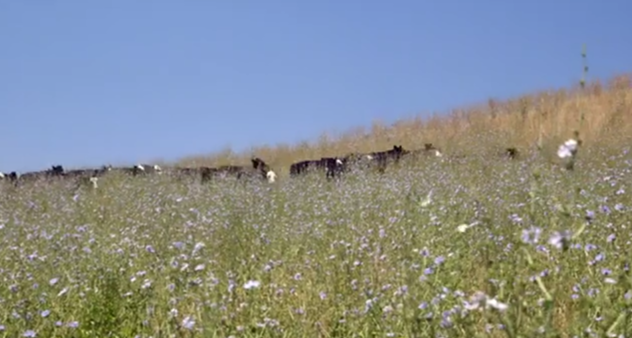 The Soilkee Pasture Renovator combines cultivation, mulching, aeration and mixed species seeding to improve grazing systems and build soil carbon effectively. The higher the soil carbon levels the more productive and healthy the farm. The soil carbon credits were presented to Corporate Carbon and Niels and Marja Olsen, on their Hallora farm, at an issuance ceremony by the Chair of the Clean Energy Regulator David Parker. ‘He said, ‘Soil carbon capture and sequestration is an innovative emissions reduction measure. There is a triple win in aiding international efforts to address climate resilience, improving soil health and food productivity, and the bottom line for farmers. This project is an example of the co-benefits that can be achieved under the Emissions Reduction Fund, and a beacon of innovation in the Agricultural sector,’ Mr Parker said. Australia is in a world leading position on soil carbon due to the bipartisan support of successive Australian governments and the work of the Clean Energy Regulator and the Department of the Environment and Energy. ‘This first issuance of credits is as much a recognition of the cumulative effort from early soil carbon farming pioneers and practitioners, as it is a vote of confidence in the ability of soil carbon to deliver millions of tonnes of abatement in the future’, said Mr Warnken. Corporate Carbon also announced the formal launch of AgriProve, a one-stop solution shop for soil carbon projects. ‘AgriProve now becomes the special purpose vehicle for developing soil carbon projects,’ said AgriProve Executive Director Gary Wyatt. AgriProve has an ambitious agenda as the Soilkee commercial model is poised to be mainstreamed. ‘Our immediate goal is to involve 100 farms, on 100 hectares, increasing soil carbon by one per cent over 100 months. The longer-term plan is to grow soil carbon farming exponentially’, Mr Wyatt said. Farmers, landholders, project owners and developers that are interested in implementing soil carbon projects should contact AgriProve.